and a big welcome to those who are stopping by for the first time! October is a month of festivities here in India...we have the 10 day festival of Dussehra (which celebrates the victory of good over evil ) and the festival of lights, Diwali, 15 days later! 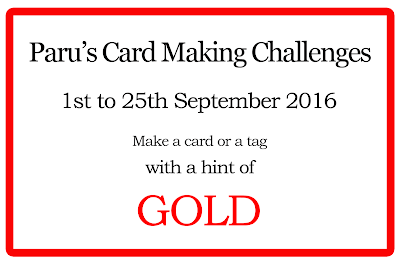 So taking this celebratory theme forward, our October challenge is to make a card or a tag which has just a HINT OF GOLD! 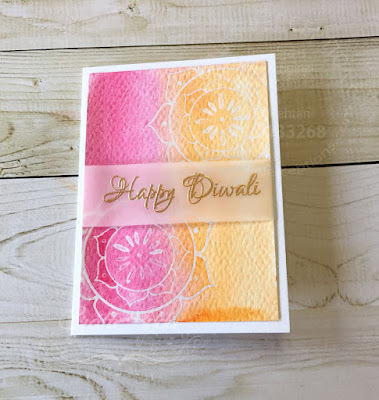 This month, I have made a set of 6 notecards with a Diwali theme. I have used the brand new Diwali stamp set from Craft Adda, Henna Elements stamp set from AveryElle, Gold and white embossing powder, and Tim Holtz distress inks, and Sakura Koi watercolours. 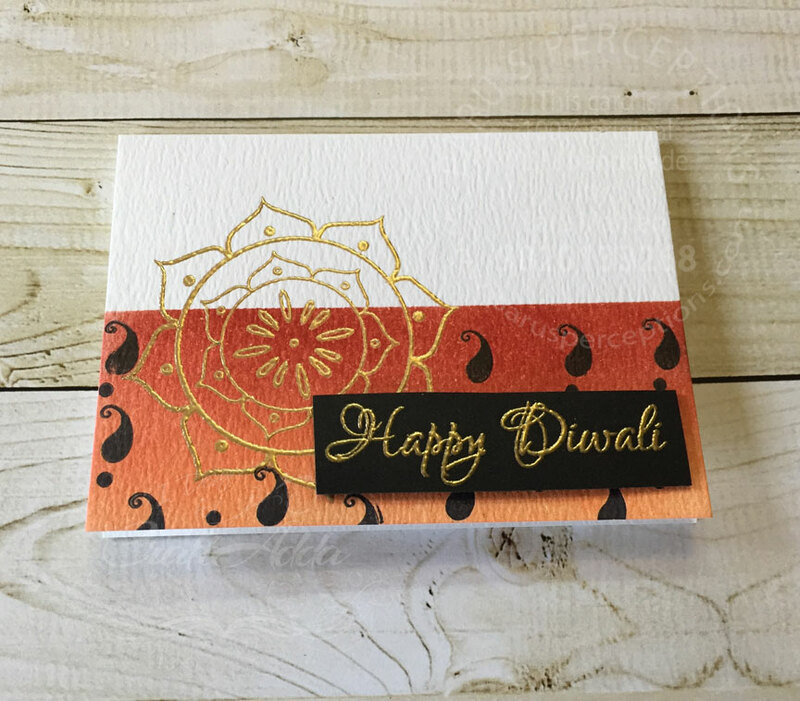 To make this card, I first gold embossed the rangoli pattern on the card. Then I masked off half the card and used Tim Holtz distress inks to colour the other half. I added the paisley design from Altnew's henna elements stamp set. I finished the card with a gold embossed sentiment from Craft Adda's diwali stamp set. 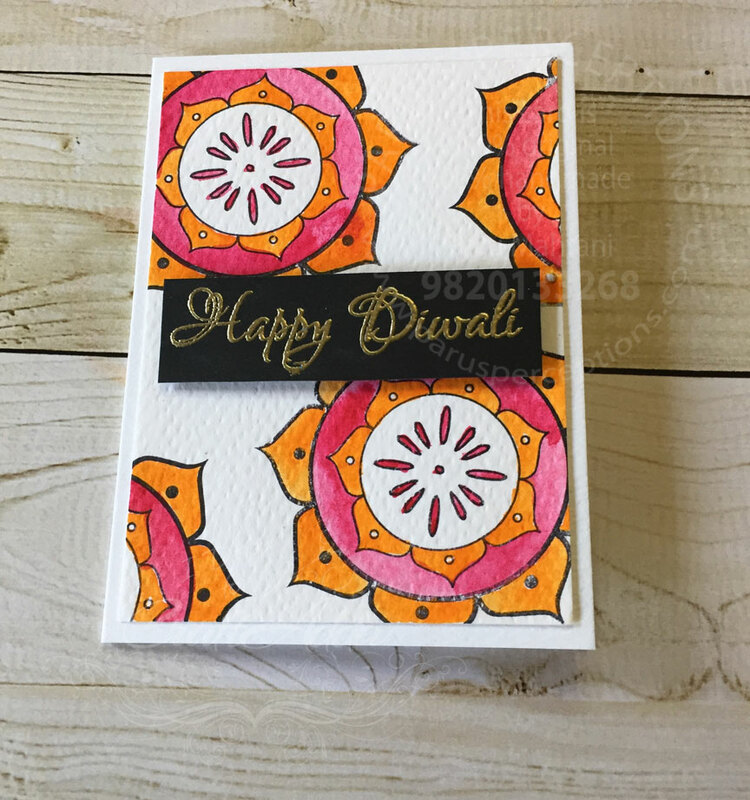 For this card, I stamped the rangoli design in black and and coloured it using sakura koi watercolours. 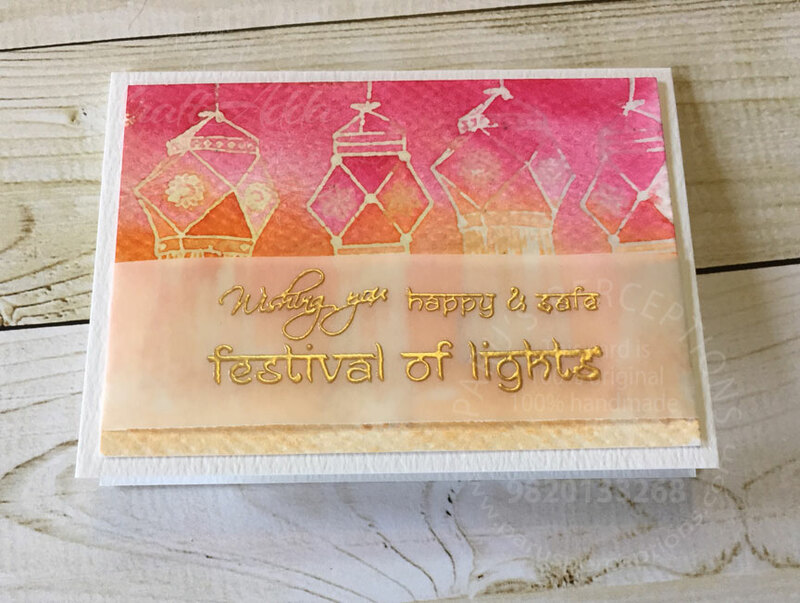 I have used the same stamp for this card too..heat embossed here with clear embossing powder and watercoloured using Sakura Koi watercolours. I finished the card with a gold embossed sentiment on a vellum panel. 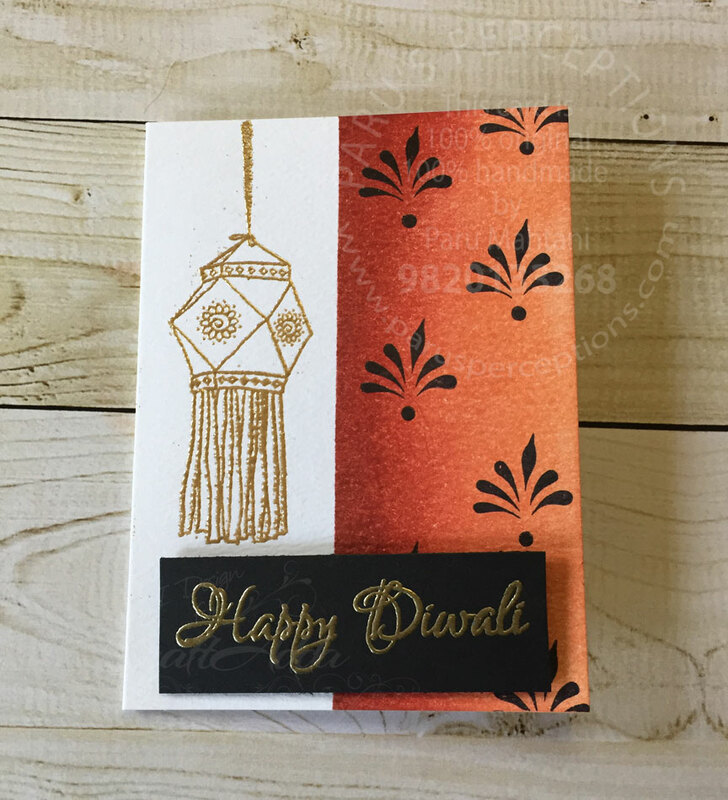 Here I have gold embossed the lantern on one half of the card and masked and blended the other half. 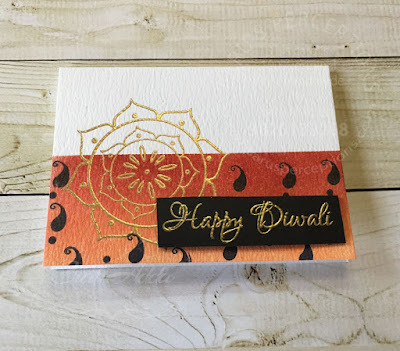 I used one of the elements from Altnew's Henna Elements stamp set on this card too. I have used the emboss resist technique for this card. After the watercolour dried, I ironed off the embossing powder to create a soft look. I finished the card with a god embossed sentiment on vellum. Here, I heat embossed the lanterns and then blended Tim Holtz distress inks. I splattered some water on the distress ink to create some interest. I finished the card with a god embossed sentiment on vellum and some burlap string from Mayarts ribbon. Hi all! This is Priya from Priya-N-Papers. 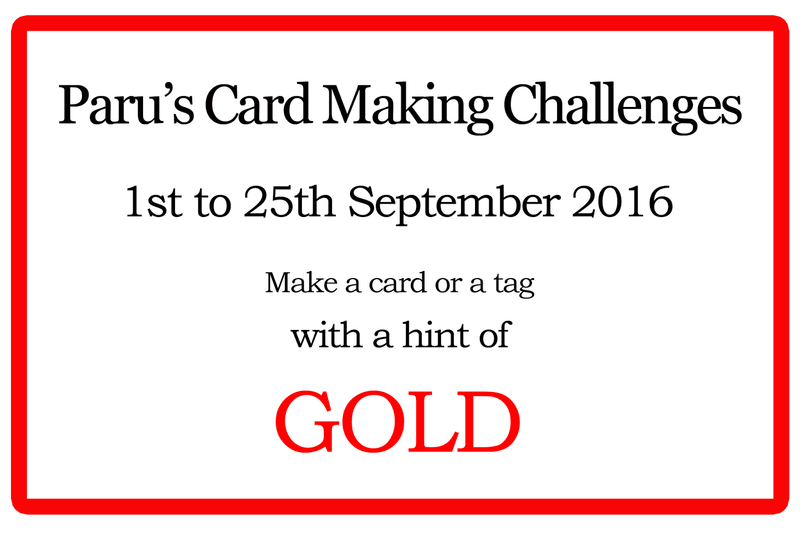 I am super duper excited to be invited at Paru's Card Making Challenges. I am a software engineer Team Leader by profession but at heart I am a full time paper crafter. I am from India but currently living in US for past 4 years because of my job. From the childhood I was into crafts. I used to craft with my super talented sister. But during collage, I lost my touch and fell totally into academics. Roughly 6 years back when I was sitting idle in office, I stumbled across Martha Stewarts crafts. That's how I was introduced to paper crafts. I found it very interesting. 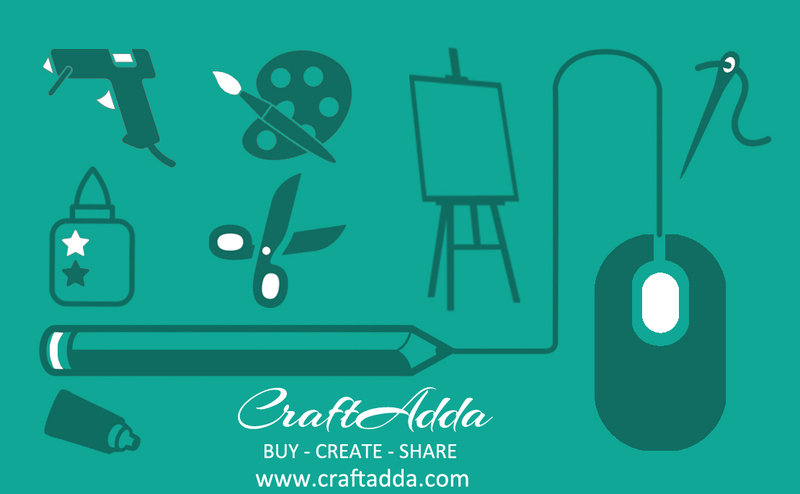 Slowing I discovered craft blogs of many talented crafters from India like Tejal, Kavitha, Bhavana, Karuna and many more. I was totally inspired by them and followed their blog and started crafting myself. One fine day I started to blog to share my crafty process. My all time favorite craft technique is creating backgrounds using heat embossing and distressing with distress inks. Now a days I am hooked to watercoloring. For the October challenges, the challenge is to add a hint of Gold. There are alot of ways to add Gold into your creations like foiling, embossing, Gold paper/washi tape/sequins and even using gold watercolors. For my inspiration, I have used gold foiled paper for card and Gold embossing powder for the tag. 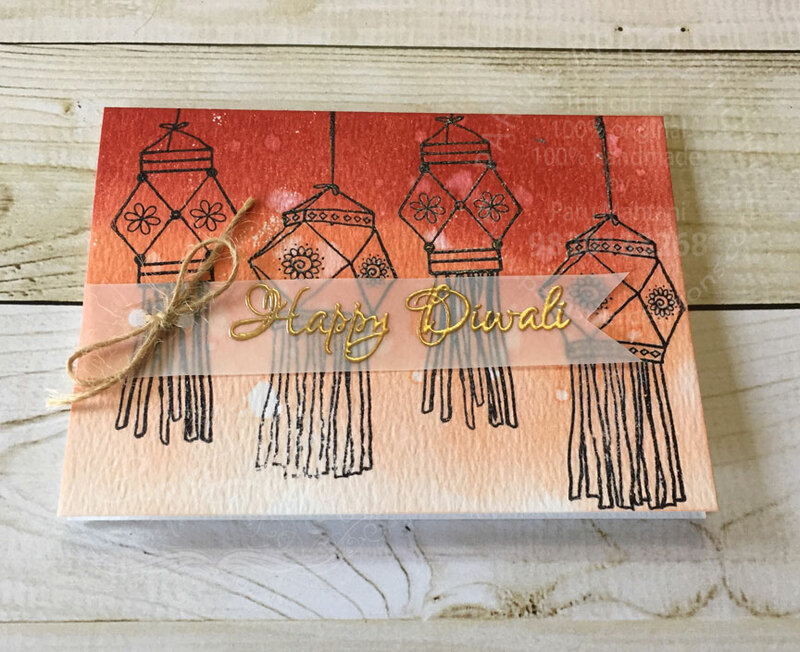 I love making Diwali cards! Since it's already October I took it as an opportunity to make one. 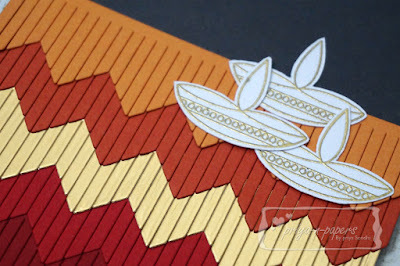 I used Fringed die from MFT and die cut strips of cardstocks in warm colors. I also diecut a strip of Gold foiled cardstock and added in between to add a touch of gold. Then I adhered all the strips to create an Ombre effect. 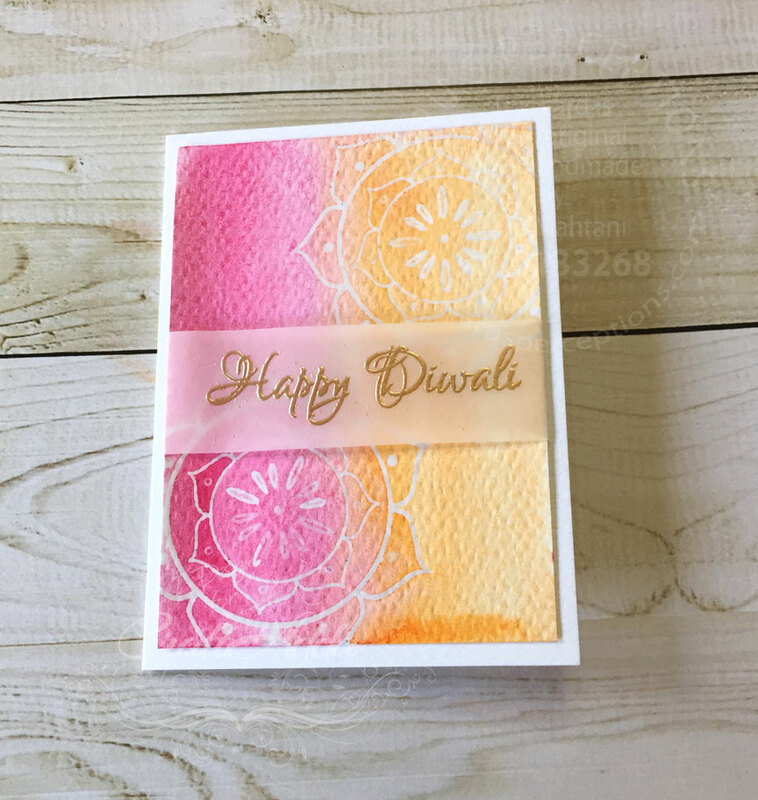 I also heat embossed Diya Stamps from Mudra's new Diwali release. 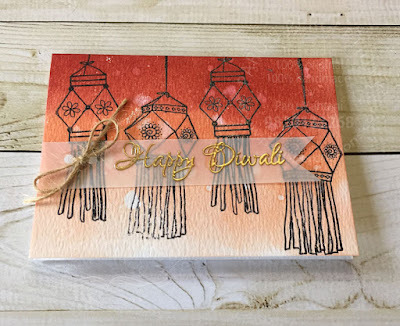 The sentiment is from Varna's Diwali stamp set which they released last year. Here is a closure look at the gold + Ombre effect. 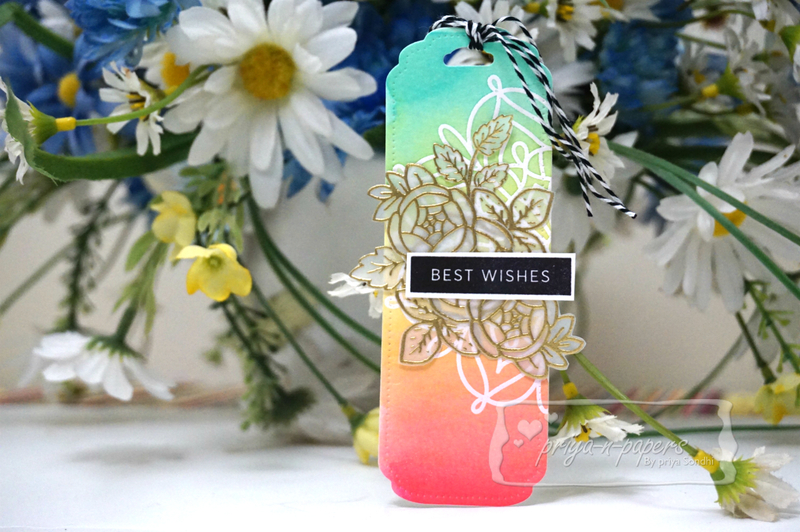 For the tag, I diecut a watercolor cardstock using Avery Elle Bookmark die and then used Gansai Tambi watercolors for some rainbow effect. 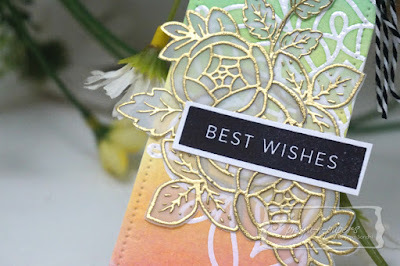 I heat embossed the Lacy circle stamp from Waffle Flower using white embossing powder. For the gold, I heat embossed Honey Bee's Zen Floral Stamps on vellum with gold embossing powder from Ranger and fussy cut the images and created my own bouquet. I added some sentiment and Twine to finish off my tag. It's an any occasion tag which you can use for birthday's, anniversaries, Diwali, etc. A closer look at the gold effect. The gold embossing on Vellum looks fabulous! That's it from my side. I hope I inspired you a little today to make some festive projects with a pinch of Gold. I can't wait to see what you guys come up with! As always, we have a fabulous sponsor lined up for this month. We hope you have been inspired to create some beautiful cards with a HINT OF GOLD! I will announce the winner of this challenge on the 28th of October, so don't forget to stop by! Love the challenge idea especially with all the festivities coming up. Looking forward to participate! Wow...such festive cards...love them..very Pretty Paru and Priya..
Beautiful cards Paru and Priya!!! Happy to see Priya as Guest ! Loved the inspirations shared ! Linked my diwali card ,as I am not on FB or Instagram cannot share n tag it there.Hope its OKay ! That's fine. Thanks for playing! Beautiful cards! Thanks for leaving me the link to your challenge, but the leaves on my card aren't actually gold. Maybe I can get another one made. Thanks Greta. 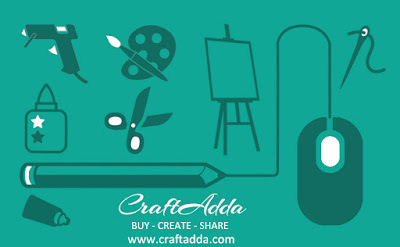 Looking forward to seeing your creations. Fabulous challenge this month! 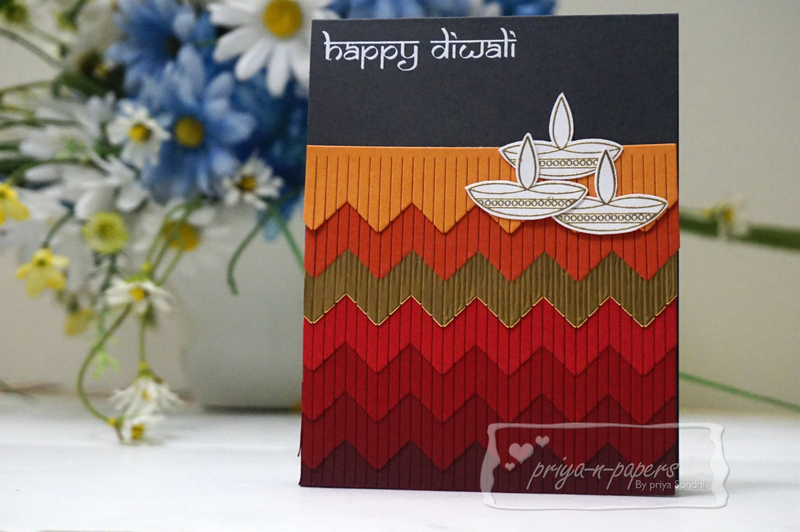 Hope you have a fabulous Diwali celebration, Paru!